They discuss Campbell’s illustrious career and how the star is dealing with the realities of the degenerative disease while preparing to embark on a final tour to say thank you to his fans. 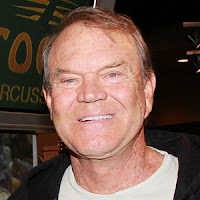 The concert tour, dubbed “The Glen Campbell Goodbye Tour,” is happening in conjunction with the release of Campbell’s final studio album Ghost on the Canvas on August 30. Campbell's career spans five decades. He's had 81 songs on the charts and has made his mark on music history with such hits as "Rhinestone Cowboy" and "Galveston." This story has personal significance for Terry Moran. He, like millions of Americans, knows the pain of losing a loved one to Alzheimer's. Alzheimer's runs in his family; both his mother and grandmother died of the disease. In 2009, Moran decided to take action and get his DNA tested to see whether he carried any of the genetic markers that have been linked to Alzheimer's.